Yoga warmup prior to the 2017 Good Karma 5K Run/Walk in Colonie. These days we tend to get so caught up in our to-do lists that even our recreational pursuits become one more checkpoint on our Fitbit, Facebook page or Strava entry. Before summer activities peak, step back a bit and thoughtfully participate in some of the late spring events outlined below, where the focus reaches beyond our personal world to recognize veterans and enforcement officers or reflect on our New York State heritage. Who knows, by concentrating on something beyond yourself, you might just relax enough to achieve a new personal record! 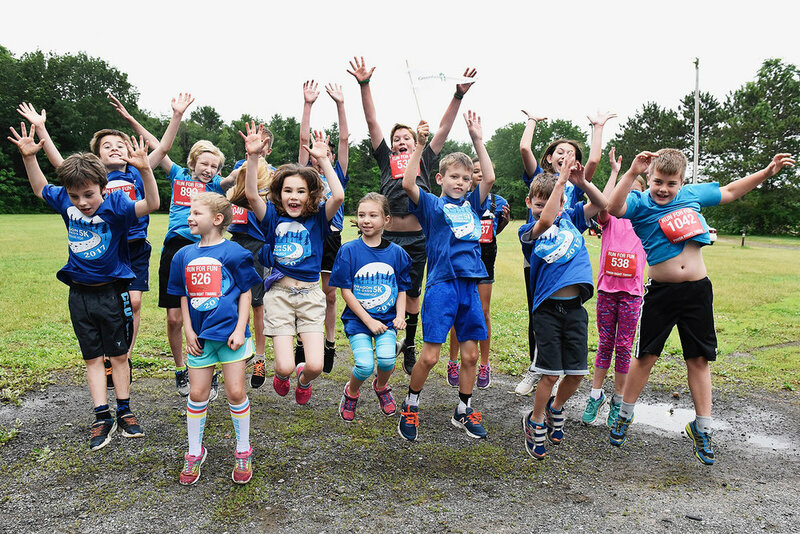 This year’s 40th anniversary Freihofer’s Run for Women 5K in Albany on Saturday, June 2 underscores a major milestone in the history of women’s running. In 1979 there were few female runners and those that were running often felt intimidated in male-dominated events. Enter the Freihofer’s “Run for Life” where women were celebrated and encouraged to display their athleticism. Forty years later, we can now form mother/daughter/granddaughter teams to celebrate our achievements, as well as enjoy age group awards through 90+! In the Mid-Hudson Valley, the second annual Run For Heroes 5K & 10K Run or Ruck is June 9 on the Dutchess Rail Trail in LaGrange. The run will honor all first responders, military service members and their families. All finishers receive military dog tags. It’s also an opportunity to meet co-race director and World Marathon Challenge winner and World Record holder (7 marathons on 7 continents in 7 days), Captain Daniel Cartica. mhrrc.org. 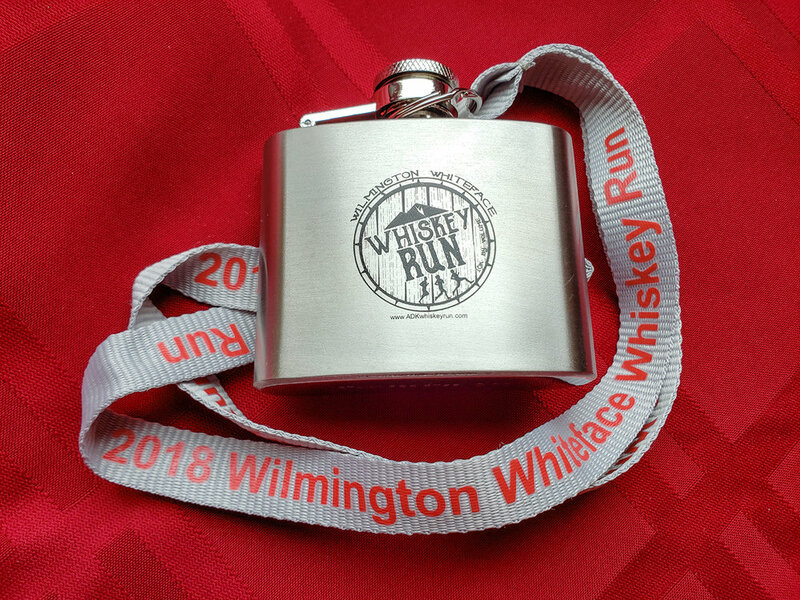 With a nod to the resurging interest in craft spirits, the second annual Wilmington-Whiteface Whiskey Run 10K, also on June 16, is the real deal – you will be running the town roads and hills covered by prohibition rum runners and moonshiners! Traveling further back through time, during the War of 1812’s Battle of Plattsburgh, residents made sure American troops enjoyed a steady flow of courage-inducing rye whiskey. Today, the tradition continues as Wilmington is home to US Barrel, the oldest whiskey barrel cooperage in the Northeast. ▲ Dragon dashers at 2017 Dragon the Dash 5K in Saratoga Springs. There are many unique events in this selection to fill your month with a mixture of history, patriotism, caring for others, and a renewed respect for our forefathers. Enjoy!